A glass of freshly squeezed orange juice goes perfectly well with a balanced breakfast. 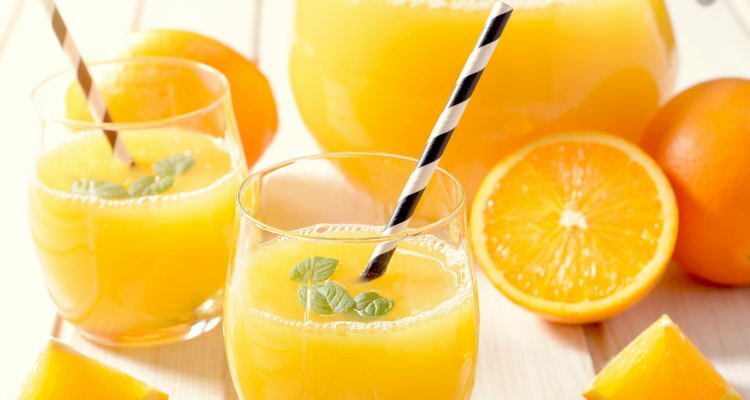 Packed with essential nutrients, oranges are a popular fruit, which is rich in vitamin C. Due to the abundance of vitamin C and other minerals, orange juice is considered to be one of the healthiest drinks. Belonging to the citrus fruit family, oranges originated some 4,500 years ago somewhere in Southeast Asia. In addition to the common sweet orange, there are a number of different varieties of oranges like navel, Seville, and bergamot. Reap the goodness of this highly nutritious and healthy fruit in any form, but avoid frozen, canned or concentrated orange juice. This is because with all the processing and the addition of preservatives, the natural nourishment of the fruit is lost. Is orange juice good for you? 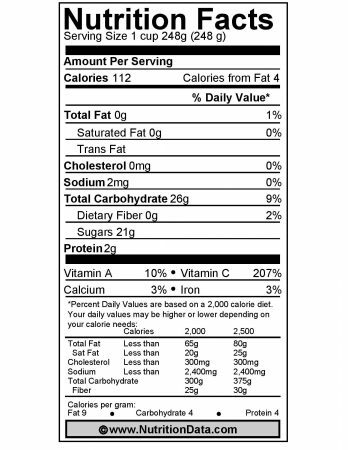 To answer that question, we need to look at the health benefits of orange juice as well as any potential side effects. Orange juice has an impressive nutrient content of vitamins and minerals. The important nutrients present in orange juice are vitamin C, vitamin A, fiber, protein, potassium, folate, thiamin, magnesium, and vitamin B6. A good amount of calcium and iron can be also derived from fortified orange juice. It is recommended to have sugarless orange juice for best results. Orange juice also helps in weight loss as it is low in saturated fat, cholesterol, and sodium. Another important nutrient found in orange is hesperidin. Hesperidin is a plant nutrient (phytonutrient), which is said to maintain a proper blood pressure level and blood vessel function. Studies reveal that plant nutrients help to improve mental and physical health, especially in women. According to studies, one cup of pure orange juice contains 112 calories, while canned, unsweetened orange juice contains 117 calories. 92 to 95% of the calories in orange juice come from the carbohydrates present. As previously suggested, avoid adding sweeteners to your glass of orange juice. Without the additional sugar, the natural calorie content in orange juice is healthy and contributes to good health. Since oranges are rich in various vitamins and minerals, they provide a number of health benefits. These are some of the benefits of drinking orange juice daily. Rich in vitamin C, oranges help to strengthen the immune system. As a result, the body is able to build a strong defense against diseases like the flu and cold. Vitamin C strengthens the body internally and makes it less susceptible to various diseases. Being a citrus fruit, orange consists of vitamin C, which serves as an antioxidant. Now, antioxidants prevent the mutation of the DNA of healthy cells into cancerous cells. Vitamin C acts as a fighting agent against different types of cancer such as skin, breast, mouth, and lungs, while the phytonutrient, hesperidin, helps to fight colon cancer. Anemia is a condition that occurs due to the low red blood cell count in the hemoglobin. This happens when the body is deprived of iron. Oranges are a rich source of vitamin C, which helps the blood stream to absorb iron better. Oranges work wonderfully in preventing kidney stones. The citrate present in oranges helps to promote kidney function and reduce urine acidity, thereby preventing kidney stone formation. Research studies have shown that orange juice is also helpful in lowering cholesterol levels. Cholesterol is a stimulating factor for many heart-related diseases, so it should be kept in check. The easiest way to do that is by drinking a glass of fresh orange juice daily. Another essential nutrient found in orange juice is folate. Folate helps in creating new blood cells and improves the blood flow to various parts of the body. As a result, the organs receive a healthy supply of oxygen and function better. The vitamin C present in orange juice also aids in decreasing the risk of developing peptic ulcers, which in turn, can lead to stomach cancers. Again, antioxidants are believed to promote weight loss. As it is citric in nature, orange juice is full of antioxidants. Thus, a glass of orange juice with your daily workout will show quick results. Fresh orange juice benefits the skin as well. Since it has antioxidant properties, orange juice works towards the betterment of skin texture and quality. Furthermore, vitamin C acts as anti-aging agent. It protects the skin cells from harmful free radicals, keeping it healthy and young. 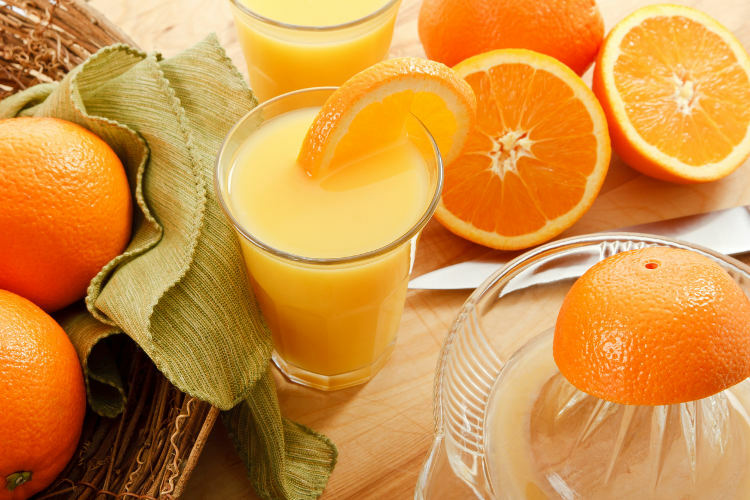 The benefits of drinking orange juice in the morning helps maintain a proper blood pressure level. Due to the presence of hesperidin and magnesium, oranges aid in maintaining the blood pressure level in the body. Now, we know that too much of anything isn’t good for health. And the same is true for orange juice as well. Firstly, orange is an acidic fruit, so too much orange or orange juice might lead to stomach trouble. Also, people with gastric-related problems should keep a watch on the quantity consumed. In addition to this, the glycemic load in orange juice is low. This means that it slowly increases the blood sugar in a person. People often drink too much orange juice reguarly. This must be avoided as too many carbohydrates at one time could spike the blood sugar level. This results in an imbalance of energy levels and creates complications in diabetics and people who are predispositioned to diabetes. Comparatively, the benefits offered by oranges trump the side effects. Orange is a fruit loaded with numerous essential nutrients that ensures overall good health. Just be sure to consume it in limited quantities. Have one glass per day and experience the miraculous effects of orange juice.